Constructed of clean geometric lines and rising out of a limestone base, the house was erected to take advantage of views of the natural landscape and the distant vistas of the Mediterranean. The immersive living, dining and kitchen areas share the ground floor with slide away glass that extend out to nature. 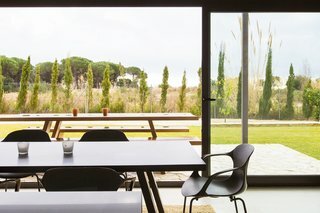 uploaded Barcelona Sanctuary through Add A Home.